View from Gruvefjellet, directly east of Longyearbyen. 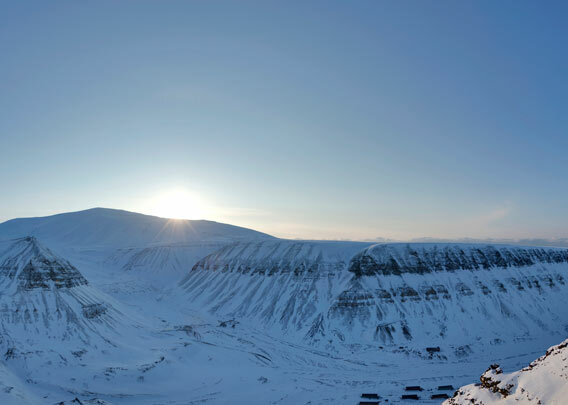 Panoramas Gruvefjellet: Gruvefjellet is a plateaux-shaped mountain east of Longyeardalen, where Longyearbyen is situated. The position of the first panorama is above Nybyen, the upper part of Longyeabyen, giving good views over the nearby glaciers, especially Larsbreen with its huge moraine. 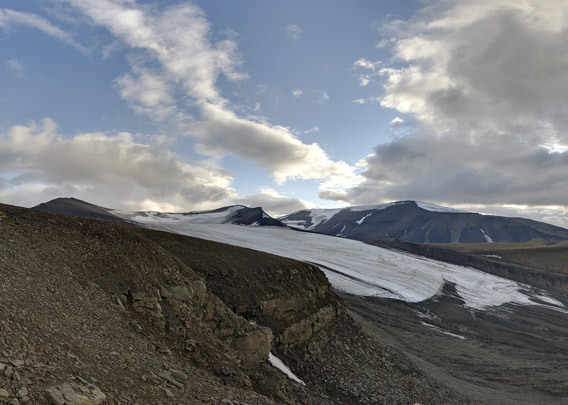 Longyearbreen is mostly hidden by the mountain ridge Sarkofagen. Further back are Trollsteinen (850 metres) and, further to the right, Nordenskiöldfjellet (1053 metres). The second Gruvefjellet panorama was taken not far from the first one, but at a different time: late March (above) compared to August. Two different worlds! 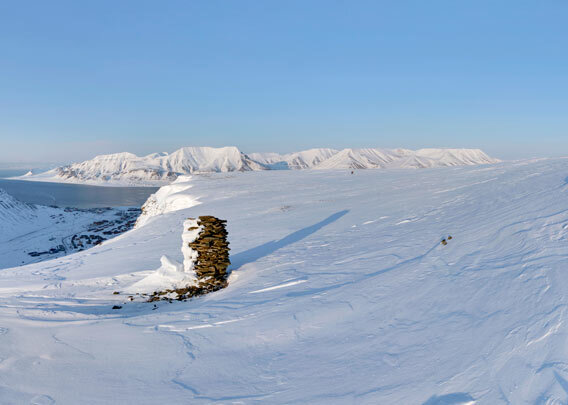 The exact position of the panorama below is a few hundred metres closer to Larsbreen, Longyearbyen is out of sight.